TAHMO places their weather stations at schools so the instruments and data can be used in the classroom. The goal for this is to enhance the climate change curricula. 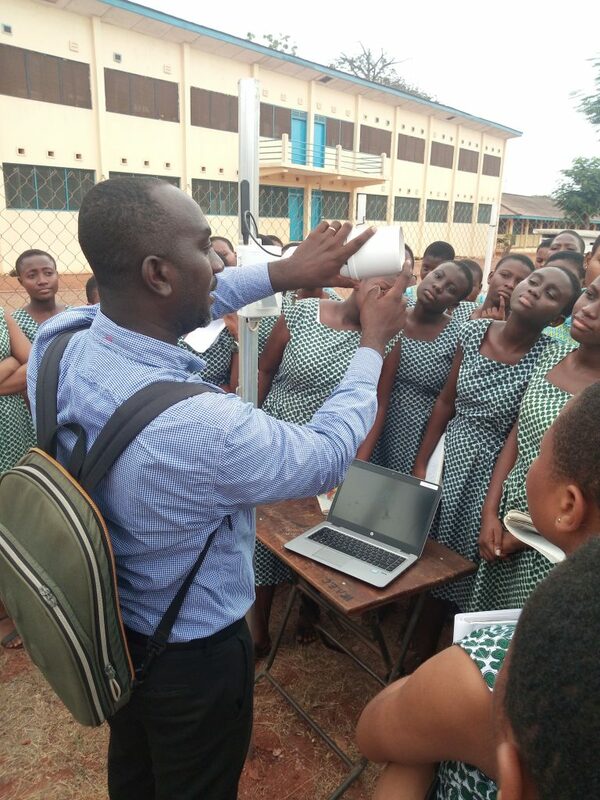 Our TAHMO Field Engineer Kwame Duah went to the Accra Girls Senior High School in Accra to train them in using the weather station. These sessions are great fun. Students are eager to learn about ” what that weather station in their school playground does” and how it can be used in climate change. Here we show 4 different steps on how students learn about climate change through TAHMO. 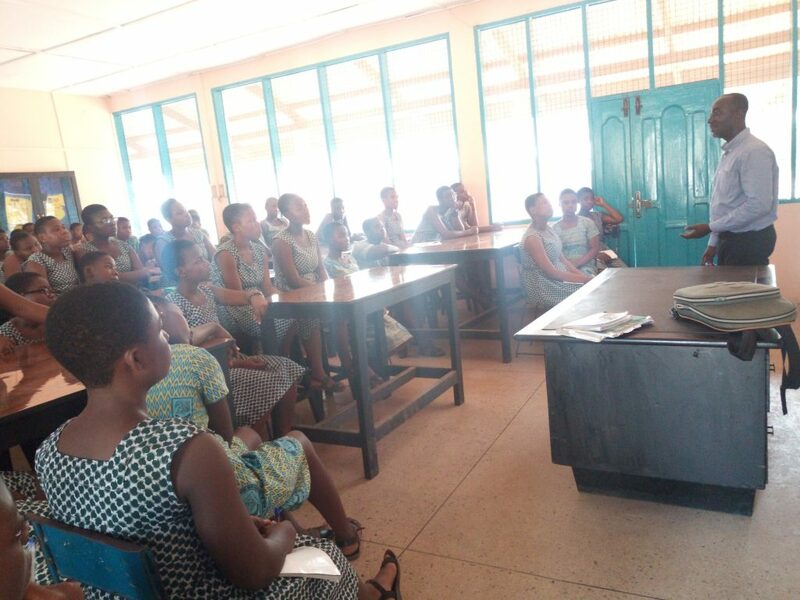 First is a session on how the teachers and students perceive climate change and how it affect their lives. Students explain how irregularity in rainfall makes it difficult for the farm management on their family farm. Teacher tell how it was 20, 30 or even 40 years ago which is a great example of how our climate has evolved in such a short time period. This session creates a direct involvement of everyone in the class. It excites both students, teachers, as well as the TAHMO representative. Second, we go outside, stretch the legs! After discussing it, we are going to see it. Students are brought within the enclosure of the weather station to see it up close. It is explained how the surroundings of the weather station are of great influence. We should not have trees to grow next to it or to allow trucks to park in the vicinity to the weather station since it will affect the data. Third, we open the weather station. Every little detail and every sensor is thoroughly discussed. What does it do? How does the sensor work? Students can touch and feel it. It is shown how important maintenance is. That it should be checked every month to see if there are no leaves or insects in it. Fourth, we bring out a laptop and show the students how they can log in and access the data. What they can do with it and how it is used by researchers all over the world. This illustrates the importance of everything we did before. How good maintenance provides accurate data, how the environment affects the weather station, and how the data can be used for the farmers to improve their yield. Are you a student, teacher or involved in any other way with a school anywhere in the world. And you want to join the TAHMO school2school program? Then be sure to contact us through info@tahmo.org.